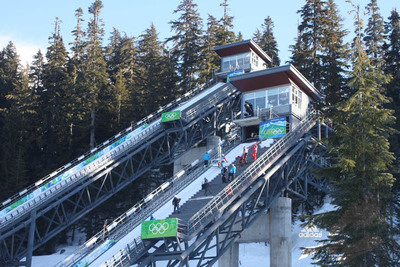 Whistler Olympic Park with both Olympic ski jumping hills of 2010 was appointed as national training center for ski jumping and nordic combined in Canada. Junior ski jumping hills shall be build now. 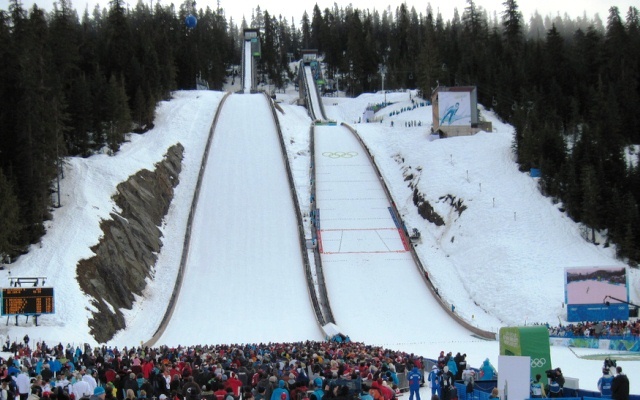 The Olympic ski jumping facilities of Whistler are becoming a National Training Center for ski jumping and nordic combined in Canada, as it was announced by Whistler Sports Legacies, Ski Jumping Canada and Nordic Combined Canada on Tuesday. Already between January 27 and February 1 the Candian National Team is going to spend there in preparation for the Olympic Games in Sochi. “We are extremely excited and honored to announce Whistler Olympic Park as an official training center of our National Ski Jumping and Nordic Combined teams. The ski jump facilities in the Callaghan Valley are among the best in the world and the perfect place for our athletes to hone their skills and challenge the world’s best. We see the venue as integral part of the sport in this country and one of the keys to our success," reported Curtis Lyon, chairman of Ski Jumping and Nordic Combined Canada. 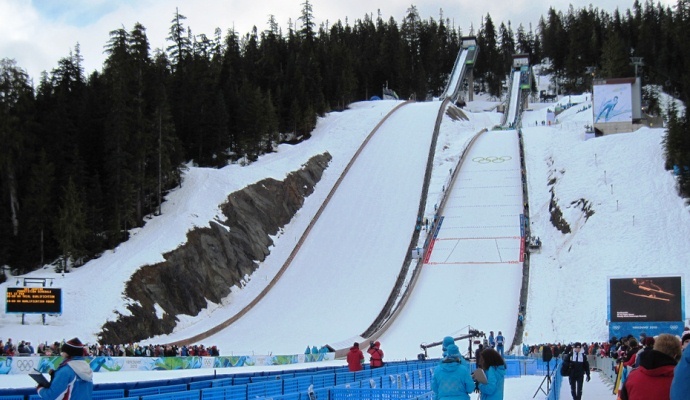 The large and normal hill at Callaghan Valley near Whistler were constructed for the Olympic Winter Games of Vancouver 2010. 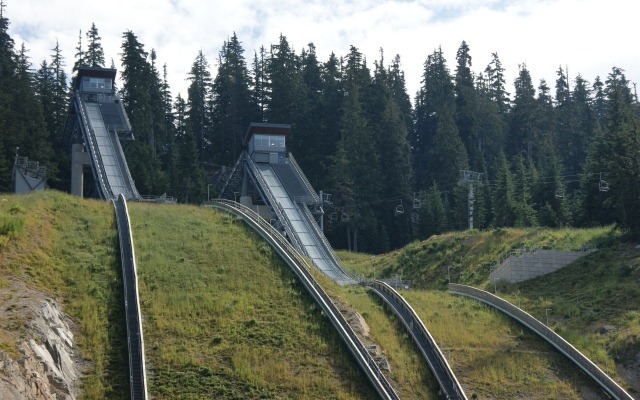 For a total of around 120 million dollars Whistler Olympic Park was built including sports facilities for ski jumping, cross-country skiing and biathlon, but after the Games most of them remained unused. 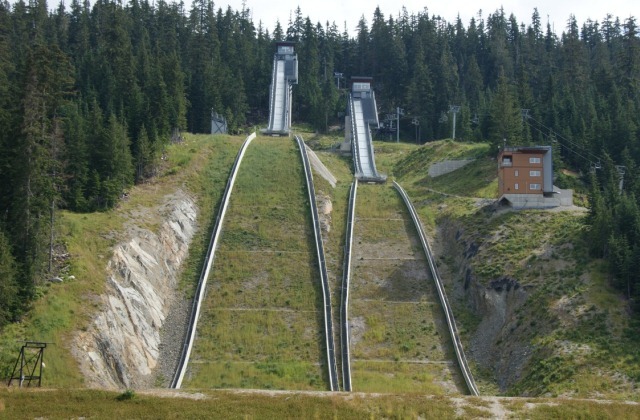 In summer it is now even planned to constructed a 40 m and 20 m ski jumping hill for younger ski jumpers, since children shall be enthused with nordic sports as part of "Flight 2022" programme. “We want to help build athletes for the future. Those small training jumps will provide safe and easy access to an exciting Olympic sport for local kids,” hopes John Heilig, Manager of Nordic Sports. 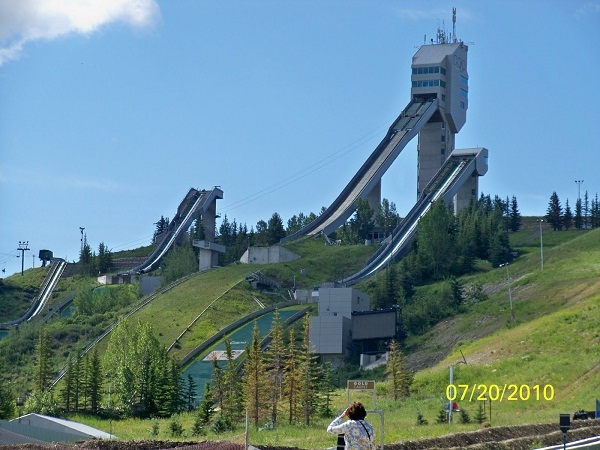 So far ski jumpers and nordic combined in Canada have mainly been training on the Olympic hills of 1988 in Calgary. There Altius Nordic Ski Club forms the foundation of nordic skiing in Canada and also provides good starting conditions with three plastic covered junior hills K63, K38 and K13. 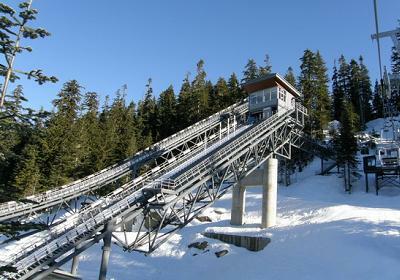 Furthermore the inrun of K89 hill was just modernized in fall 2013, while the large hill cannot be used anymore.